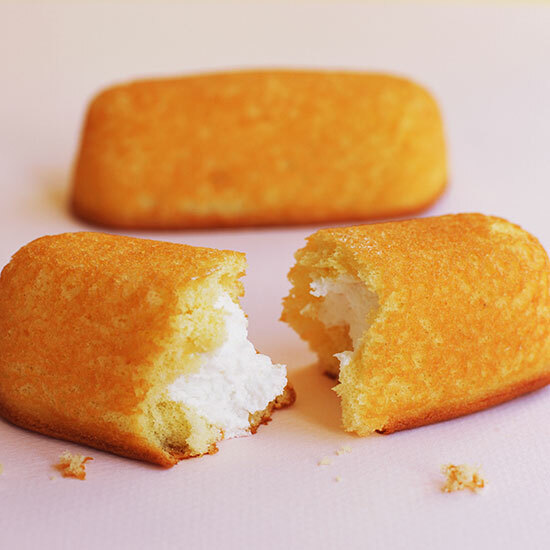 If you love Twinkies but are worried you’re not hitting your daily dairy goals from its creamy filling alone, here’s news that will surely send you running to your grocery’s freezer case: Hostess Twinkies Ice Cream is on store shelves now. The snack cake/ice cream mashup was announced back in December, with the “limited edition” item scheduled to be available from February to May… You know, from the coldest month of the year until the month when you’re almost starting to crave ice cream. Perfect timing really. But according to The Impulsive Buy, the Hostess-branded ice cream has already been spotted in the wild ahead of schedule – meaning if you’ve been waiting for an excuse to give up your New Year’s resolution with a bit of flair, it’s go time. The frozen treat reportedly “features sweet buttercream-flavored ice cream, sponge cake pieces and a vanilla frosting swirl,” and according to a Nestle spokesperson, would be available at Dollar General and convenience stores. That said, the pints spotted by The Impulsive Buy reportedly were seen at the Ohio Valley grocery store chain Riesbeck’s, so Twinkies ice cream could be anywhere, really. You may have already bought some in what you thought was simply a beautiful dream! For those who don’t love Twinkies but also aren’t immediately repulsed at the idea of shoving chunks of snack cakes into ice cream, the infamous cream-filled sponge cake isn’t the only one of Hostess signature products that has been made into an ice cream as a part of this collaboration with sweets giant Nestle. The two brands have also created a Hostess CupCakes Ice Cream and a Hostess Snow Balls Ice Cream. The former “combines chocolate ice cream, cake pieces and a cream frosting swirl,” and the latter “is a marshmallow-flavored ice cream with chocolate cake pieces and a whipped coconut swirl.” So yeah, look for them in Dollar General’s health food section.